1990: These young men are testing out their football skills in this relay race at the Mansfield Show. Are you on this picture? 1990: A fabulous group shot taken just before this lovely lot set off on the Blidworth Parish walk. Spot anyone you know? 1989: These two seem to be enjoying the giant inflatable boxing game at the Mansfield Show. Have you ever tried your hand at this or something similar? 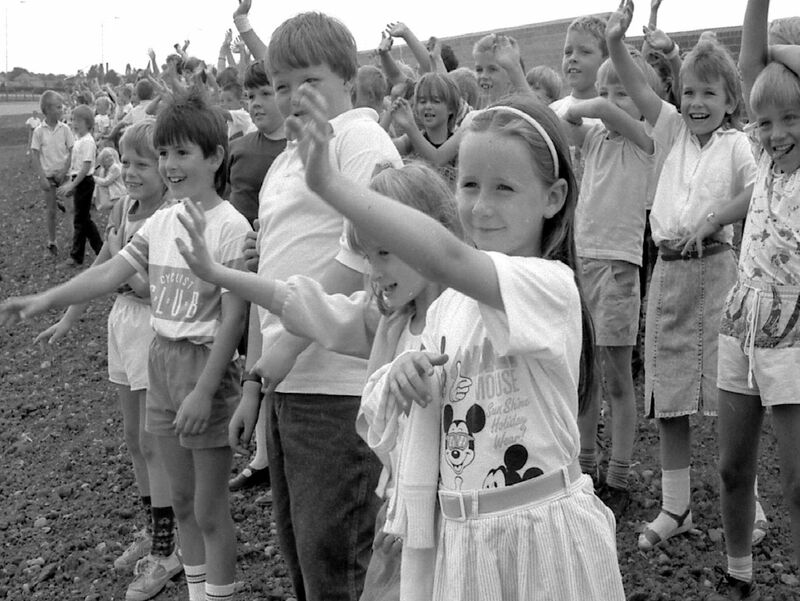 1989: Pupils from Brunts School in Mansfield get dressed up to celebrate French Day. Did you go to this school?